I hope each of you enjoyed a wonderful holiday and that your new year has started well. For me, one of the joys of any extended vacation is the opportunity to read. 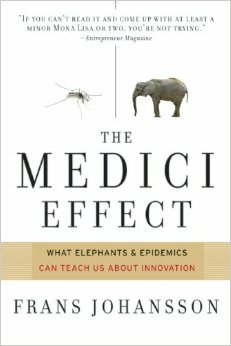 Last year, Bill Reddick shared what he called “the best book I have read in five years,” Frans Johansson’s The Medici Effect: What Elephants and Epidemics Can Teach Us About Innovation. The book shares scores of examples of how people from different disciplines, cultures and businesses are joining together to accelerate the creation of innovative ideas. The “intersection of fields, cultures, and disciplines generates combinations of different ideas, yes; but it also generates a massive number of those combinations,” Johansson writes. 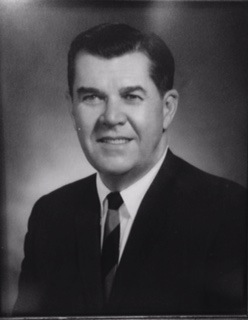 Innovators, he explains, “often have a broad learning experience, having excelled in one field and learned another. Broad education and self-education appear to be two keys” in developing innovators. Two things excited me about this book. First, the examples of innovative ideas being created at the intersection left me awestruck. One example details how an architect, insurance company, and real estate conglomerate were challenged to build an office building without air conditioning in Zimbabwe, where daily temperatures range from 100° in the day to 40° at night. The architect used his understanding of natural ecosystems, best evidenced by termites in Zimbabwe whose mounds maintain an internal temperature of 87 degrees, to design the air supply system for the largest retail/commercial complex in Zimbabwe. The complex, Eastgate, maintains a steady temperature of 73 to 77 degrees without air conditioning, using less than 10% of the energy consumed by buildings its size! Second, reading this book affirms the fact that The Walker School is intentionally preparing our students for just such a collaborative, innovative and diverse world. This is evident in many areas of our school, such as Lower School students who are celebrating “Viva Mexico” across academic disciplines and grade levels, or with eleventh graders taking what they have learned about poetry and teaching it to students in Prekindergarten. I encourage you to read the book in order to learn out about innovative ideas that are being developing at the intersection of entrepreneurial fields, diverse cultures and academic disciplines. When we consider how fast the world is changing, some of us are excited, and many of us are nervous. It is hard for me to believe, but were my father (pictured at left) still alive, he would be turning 100 this year. Consider how much the world has changed in the past century. In 1915, the House of Representatives rejected a proposal to give women the right to vote, Babe Ruth hit his very first home run, less than ten percent of our nation’s roads were actually paved, and there were forty-eight, not fifty states in the union. Physical change is afoot at Walker as well. Walker’s footprint increased by more than 50%, from thirty-two to fifty acres, after the acquisition of the contiguous property at 815 Allgood Road. With this purchase, the school will be able to address the strategic initiatives to upgrade academic, athletic and fine arts facilities. Additionally, the school welcomed sixteen new students at the start of the second semester. Clearly, it is an exciting time for The Walker School and it is an honor to partner with our families as we challenge our students to stretch, grow, and mature into tomorrow’s innovators!